Muslim – every day's a holiday! But you won’t find fireworks displays or any celebrations akin to both Western and Eastern New Year traditions. On the first day of the year Muslims reflect upon the Hijra–the Prophet Muhammad’s flight from Mecca to Medina in 622 CE. The Hijra is considered the beginning of the Islamic calendar; hence, years are referred to as AH (After Hijra). During the month of Muharram, Muslims focus on the Islamic principles of sacrifice, selflessness, patience, and knowledge of Allah Ta’ala. It is also one of the four sacred months. 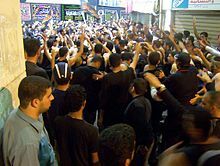 Fasting during Muharram is not obligatory, but is encouraged during the first ten days, especially the tenth day, Ashura. 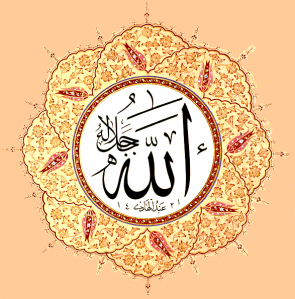 The Islamic calendar is approximately 355 days with twelve months of 29 to 30 days. For this reason the Islamic calendar does not usually coincide with the solar calendar, but falls about 10 days earlier each year. 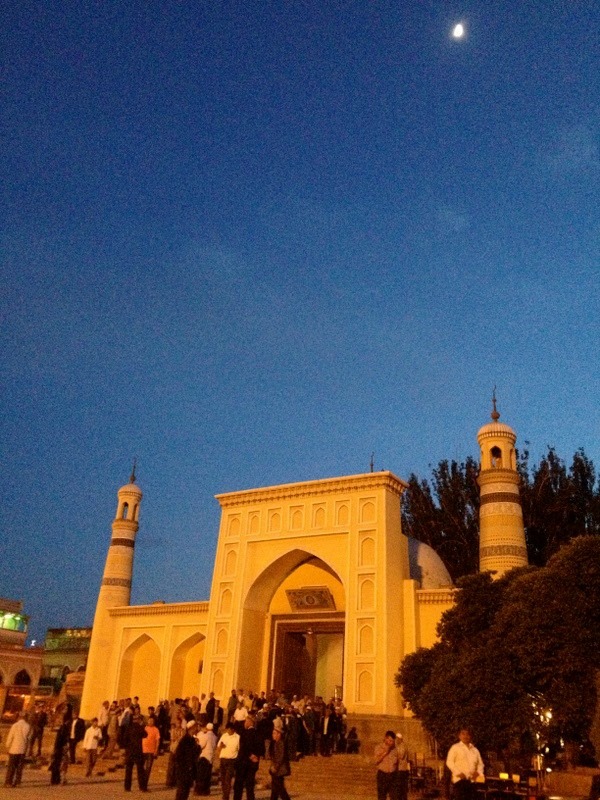 The dates of Muslim holidays vary depending on the visibility of the lunar crescent. Unlike other lunar calendars which begin on the new moon, in the Islamic calendar a month begins when the crescent of the moon is first visible. Though lunar cycles can be predicted, lunar sightings cannot, due to inclement skies and other atmospheric conditions. For this reason pre-printed calendars are not considered accurate, although they are necessary for planning. Saudi Arabia has adapted a standard calendar based on the lunar cycle as it would be viewed on a clear night from Mecca. 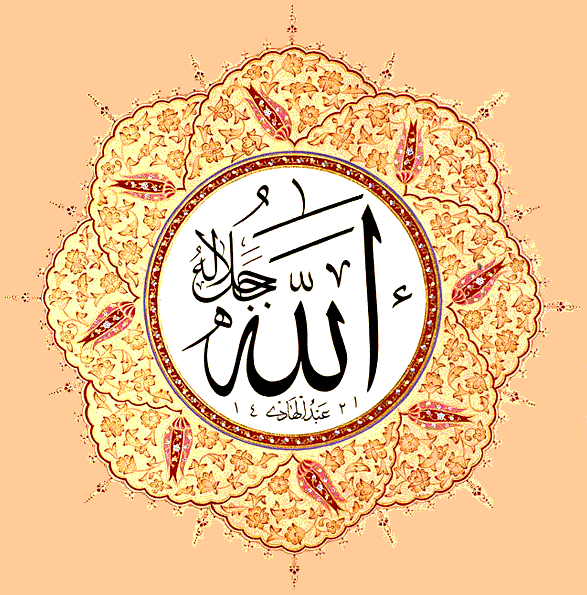 Observing the Islamic calendar, or Hijra calendar, is a sacred duty to all Muslims. Nope, this has little to do with the environmental movement. Green here signifies the religion of Islam, and the March in question was led by Moroccans protesting Spain’s continued occupation of the Western Sahara (then Spanish Sahara) well into the 1970s. The Green March was orchestrated by Morocco’s King Hasan II who emphasized Western Sahara’s long-standing ties with his country. In 1975, faced with growing international opposition and fighting within the territory, Spain announced the possibility of creating an independent state out of Spanish Sahara. However, both Morocco and Mauritania (to the southeast) had claims to the territory. Hasan took the case to the International Court of Justice. The Court determined that there were ties between the Saharan territory and Morocco, but that the ties were not substantial at the time of Spain’s colonization of the territory; thus the Court recommended a Saharan referendum on self-determination. In a televised announcement, Hasan emphasized the first part of the Court’s recommendation—the territory’s ties to Morocco—and called on Moroccans to liberate Spanish Sahara by means of a massive peaceful march. On November 6, 1975, around 350,000 unarmed Moroccans assembled on their southern border and crossed over into then-Spanish territory calling for the return of Moroccan Sahara. The Spanish commanders refused to fire on the unarmed civilians as Hasan had predicted. The Green March went off peacefully and triumphantly. Later that month Spain agreed to temporary joint administration of the territory with Morocco and Mauritania, after which Western Sahara would be split between the two African nations. Mauritania withdrew from Western Sahara in 1979 after a guerrilla war movement in favor of Saharan independence. The anniversary of Green March is a triumphant holiday in Morocco, although the call for independence is still hotly debated in Western Sahara. There’s little evidence in the Qur’an for green’s emergence as the color most symbolic of Islam, but numerous Muslim countries include green on their flags. In fact Libya’s flag is entirely green, the only single-color banner in the world. One Surah (76:21) does notes that in paradise, denizens will be clad in green robes of fine silk. 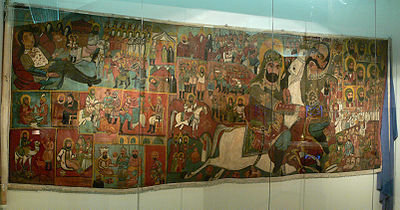 Other sources claim that the Prophet Muhammad wore green and used green in his armies’ banners. 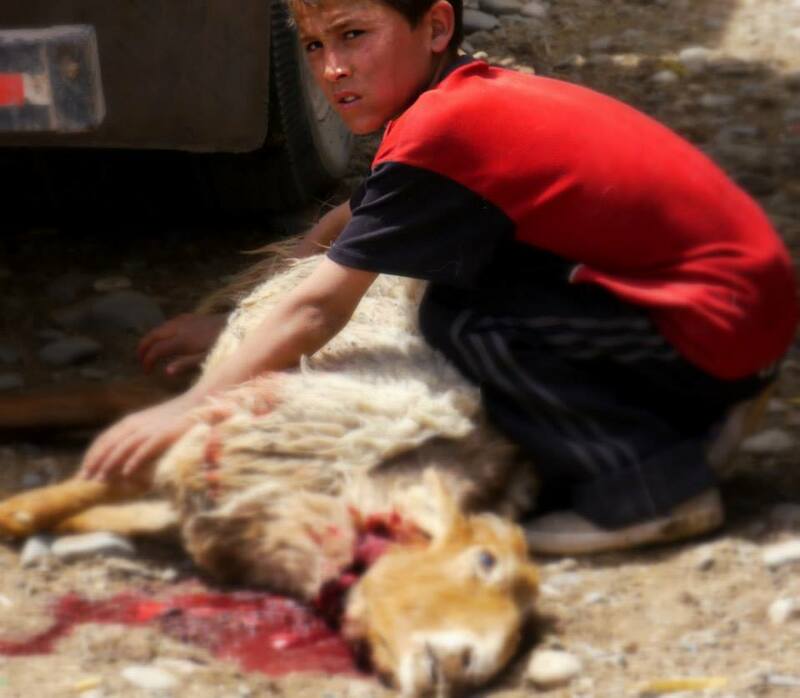 [Published Dec. 9, 2008] It brings me great joy to write about Eid al-Adha today. Not just because it’s one of the holiest days of Islam, and one of only two Eids (Festivals). It’s also because Eid al-Adha is the first holiday I wrote about for Every Day’s a Holiday, which means we’ve come almost full circle. Since the Islamic calendar is 11 days shorter than the Gregorian calendar, it hasn’t quite been a solar year, but we’re getting there. I have learned so much about the Islamic calendar over the past year, my head hurts. I used to think, Why does the Islamic calendar have to be different from every other calendar in the world? Not all calendars are 365 days long, but at least they make some effort to correct themselves every few years. A leap day, leap week, leap month. Leap something! The Islamic calendar says, uh-uh. Pay no heed to seasons. A month observed in the summer 15 years ago is observed in the winter now, and vice-versa. It struck me as counterintuitive. Or some kind of weird trick to play on kids. But now, after following the calendar through a full cycle, I see two reasons. The first is that as all other calendars shift in relation to the Islamic calendar, Muslims get to share and contrast their celebrations and holy days with all other cultures. This year, 1429 AH (2008 AD), Ashura was observed the between the Baha’i Faith’s World Religion Day and the first day of Christian Unity Week of Prayer. The holiest third of the month of Ramadan just touched the ten days of atonement of the Jewish calendar, observed between the High Holy Days. Precisely as Muslims broke the fast with Eid al-Fitr, the Jews began the fast of Rosh Hashanah. And Eid al-Adha this week coincides with the Catholic Festival of the Immaculate Conception (December 8), both of which speak to the bond between parent and child, and the bond between humanity and God. Eid al-Adha, the Festival of the Sacrifice, commemorates the moment when Abraham nearly sacrificed his son at Allah’s request. And the moment the Lord stopped Abraham in time to offer him a ram to take Ishmael’s place. It is this moment between Abraham and his son Ishmael, that the Prophet Mohammad set forth as the defining event of Islam, which means literally, “submission”. For this reason, the structure known as the Kaaba–where Abraham first introduced monotheism to the world–was sanctified by Mohammad as holiest site on Earth. And just as when we make a sacrifice for a friend or a loved one, we find that the sacrifice was not from us, but for us.